Independance is the theme for week 27 and immediately brought someone to mind, though not an ancestor. 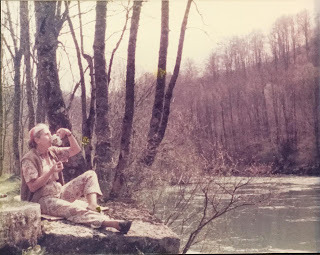 My aunt Lien was fiercely independent. She grew up in the Dutch East Indies and when in 1945 the Indonesian Republic was proclaimed, declaring independence from the the Netherlands, she and the rest of her family were repatriated from Java back to "home". She would not see the land of her birth again until some fifty years later when she travelled back to Java visiting some of her favourite places from her childhood and reconciling to the modern Indonesia. Her teenage years from the age of fourteen to seventeen she spent in one of the Japanese civilian concentration camp on Java. These were difficult years and her defiance got her in trouble with camp authorities. 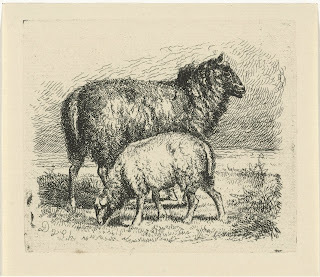 The week 26 prompt - Black Sheep - really had me scratching my head and digging around the family tree, but no likely candidate popped up. This is not to say that there were no black sheep in the family, just that to my knowledge everyone behaved themselves more or less. 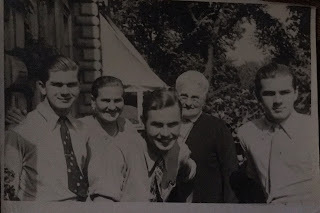 For the week 25 prompt, Same Name - I've decided to take a look at a branch of the family tree that I haven't paid much attention to and that is the Reith family. So it is the surname that is the thread. When I looked up surname origins I could only find references for the Scottish origins of the name. There is also a town called Reith in Lower Saxony but the Reiths I am concerned with come originally from Eschwege, Hesse. Reith is my maternal grandmother's maiden name. She was the third child, second daughter of Christoph Wilhelm Emil Reith, who was born 8 November 1856 in Eschwege, Germany. Her older brother was named Willi Ernst August Alfred and an older sister was called just Else.